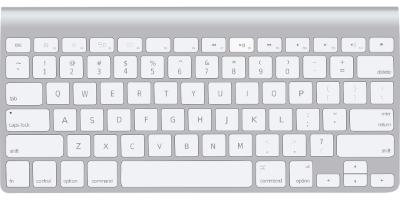 Using shortcuts is often the fastest way to navigate in the Mac OS X system. Cut the selected item and copy it to the Clipboard. Find items in a document or open a Find window. Spotlight: Show or hide the Spotlight search field. To perform a Spotlight search from a Finder window, press Command–Option–Space bar. If you use multiple input sources to type in different languages, these shortcuts change input sources instead of showing Spotlight. Screenshot: Take a screenshot of the entire screen.